It is rare that I watch a TED talk that it doesn't change my thinking in some way, at least temporarily. Isn't that what learning is about? I often intend to watch more of these talks and don't succeed, but I recently noticed that TED is available on Netflix. Not that it was hard to access the resources from the multidisciplinary Technology, Entertainment, Design (and much more) conferences, given the great (free) website and iPad app, but streaming it on my TV is even better. Check out this talk from Amy Cuddy on body language and its consequences for communication and even "life outcomes" such as getting a job or making a date. There is some interesting science here and definitely some clinical implications for working with our students. Amy discusses the simple strategy of the "power pose" and how it shapes our thinking and behavior, and therefore consequences in our own life and our own feelings about ourselves. Sound familiar? There's a good connection here to Social Thinking's Social Behavior Mapping technique. See Amy Cuddy's TED Talk here. Update on SLP Blogs Bundle: Now Follow Blogs Using Feedly! For a few years, I have been a strong advocate of following blogs using an aggregator tool such as Google Reader. I even created a "bundle" of SLP blogs that anyone could subscribe to all at once using Reader. Unfortunately, several months ago, Google announced that it was retiring this product, causing much of the edtech world to spin into a panic (NOTE: If you subscribe to this or other blogs via email, none of this affects you, though I recommend reading on to learn about another way to receive blog content). Though Reader will not be accessible after July 1, 2013, and the SLP Blogs Bundle can therefore have no new subscribers after that time, a substitute has risen to the top: Feedly. Feedly has been my go-to reading tool since the announcement of the demise of Reader, and I wanted to post about it in conjunction with SLP and fellow SpeechTechie Janelle Albrecht, who had a similar reaction to this bad news. Janelle supported me in those early, dark days after Google broke my heart. This post will give you some information and steps to follow whether or not you currently are a Reader/Feedly user. -After July 1, 2013, Google Reader will be no more. -If you log in to Feedly before July 1 with your Google Account, all your subscriptions and starred items will be migrated to Feedly seamlessly. -Feedly is a free, clean and efficient tool that you can use to skim all blogs you subscribe to, share posts with others, and curate posts for later reading by "saving for later" or tagging posts in categories for your organization. -Feedly has developed a critical mass of converts following the Google Reader announcement and has made key steps to ensure users' easy transition to the tool, which bodes longevity. -Blogs are a GREAT "receptive" way to engage in social media and professional development. No need to interact if you don't want to; just read! -You can start using Feedly even if you have never used Google Reader, and you should! If you follow more than two or three blogs, it is better to use such a tool than to individually navigate to blogs via bookmarks in your browser, which is inefficient and does not support easy sharing or curation of posts. -Folks also like Flipboard and Zite, news aggregators that provide different experiences and features. -You can still give yourself a jumpstart with a collection of blogs by subscribing to the Google Reader SLP Blogs Bundle before July 1 (navigate to Reader while signed into a Google account, then click on this link to add the bundle). Sign into Feedly as well before that date to migrate these subscriptions. -After July 1, the SLP Blogs bundle will be unavailable for new subscribers, but will stay in your Feedly. 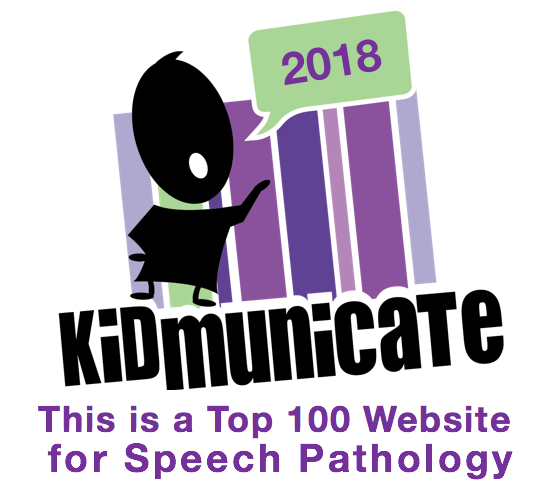 -I will make it a summer project to replace this bundle with a list or resource links of blogs you can add to your Feedly related to speech-language pathology. Heidi Kay of Pediastaff and Jenna Rayburn of Speech Room News have done this here and here very well so I am not sure how much I will reinvent the skillfully constructed wheel. It's very easy to add individual blogs to Feedly, as you can see in the tutorial below. This post may trigger a number of questions. Please feel free to leave any questions in the comments and I will be sure to respond! Thanks to the nearly 1,000 people who subscribed to the SLP Blogs Bundle over the past several years. I was very happy to promote all the good work of SLP Bloggers. Hopefully Feedly will come up with a similar bundling feature as it evolves. Thanks also again to Janelle Albrecht for your time, insights, and patience with my "technical difficulties" on the morning of our recording! Last Tips: Be sure to add something to your Feedly that makes you laugh or think (or both). Lately, I am enjoying the guilty pleasure of BuzzFeed, and Lifehacker always gives me good ideas. Both of these blogs, and some others, can be very prolific. DO NOT feel like you need to read every post of anything. That is sure to short out your brain and make you want to stop following blogs. Liberate thyself whenever the number of unread posts stresses you our- you can remove the subscription or "Mark all as Read." No one will know. Be Zen. Whatever you read is just the right amount for you to read. I am happy once again to be offering the "Technology Links to Language Intervention" this summer. This is a hybrid course with a 6-hr face-to-face workshop in Waltham followed by an online component, offered for PDPs and an optional graduate credit available from Framingham State College. -access channels for further learning about technology integration in your work. My favorite part of the course is when I get to step back a bit (but not totally!) and let participants engage with each other around selected articles related to tech integration and language-enriching methodologies, as well as create and share with each other exemplars of work created with tools such as Popplet, Domo Animate, Toontastic, Puppet Pals, and other wonderful creation resources. This summer, this online component will likely be hosted on Edmodo, itself a great communication tool. This course is designed to be helpful to SLPs and anyone else who works closely with language development issues, such as ESL/ELL teachers, literacy specialists, or special education teachers. July 12-13, 2013- Long Beach, CA: ASHA Schools Conference- Presenting two sessions, "One Digital Story at a Time: Apps to Target Narrative and Expository Language" and "'Out of the Box': Apps through a Language Lens." I will also be facilitating a roundtable discussion during Friday's event. July 22, 2013- Boston MA: EdCamp BLC at Building Learning Communities- I am helping to organize this free unconference in which the agenda is built and executed by participants. Now a veteran of 7 Edcamps, I will say again that I learn more at these events than I do from traditional PD! Click for More Information and Registration- now open! 8/19/13- Fredricton, New Brunswick, CA: Exploring the iPad for Language-Based Teaching and Interventions-In this day-long workshop, participants will learn "top tech tricks" for utilizing the iPad as a teaching and learning tool, including accessing photo/video production and organizational strategies, accessibility functions, and other native apps. A wide variety of apps in various categories that support students with language difficulties and other learning needs will be demonstrated, along with an evaluation framework for choosing apps for intervention and special education. Attendees will also choose from a selection of free apps to create a project to use with students, and access a variety of information resources to continue learning about technology integration. I was recently contacted by fellow BU alumni Tara McAllister Byun about a study she is leading in the NYC area. Rather than report on the information myself, I invited her to write a guest post, and she was happy to do so! I hope you find this of interest, especially if you are in the New York area. The Biofeedback Intervention for Speech Lab at NYU is researching the possibility that technologically-enhanced intervention could offer a solution for these persistent speech errors. Specifically, we are looking at visual biofeedback therapy, which uses instrumentation to create a real-time representation of some aspect of speech that is difficult to perceive under ordinary circumstances. We show the child a real-time display of the acoustic signal of his/her own speech, as well as a visual model representing correct articulation of the target sound. The child can then modify his/her own output to achieve a closer match with the visual model. A number of preliminary studies have demonstrated the exciting potential for visual biofeedback intervention to eliminate residual errors that have not responded to traditional forms of therapy. (3) However, there is a need for larger studies to demonstrate that biofeedback is an efficient as well as effective form of intervention. With funding from the National Institutes of Health, my lab is running a study that will systematically compare visual biofeedback versus traditional intervention methods for children with residual /r/ errors. We are currently looking for children in the New York City area, ages 9-14, with treatment-resistant /r/ errors. Children who participate in our study will receive 10 weeks of free biofeedback intervention at NYU. In addition, clinicians who refer participants to our study will be eligible for free participation in a continuing education seminar on biofeedback intervention. If you may be interested in referring a participant and would like to learn more about the study, click here. If you would like to learn more about biofeedback in general, click here. 1 Lewis & Shriberg, 1994. 2 Gibbon & Paterson, 2006. 3 Shuster, Ruscello, & Smith, 1992; Shuster, Ruscello, & Toth, 1995; McAllister Byun & Hitchcock, 2012. Thanks for the information, Tara! Please share this information with anyone you think might benefit.